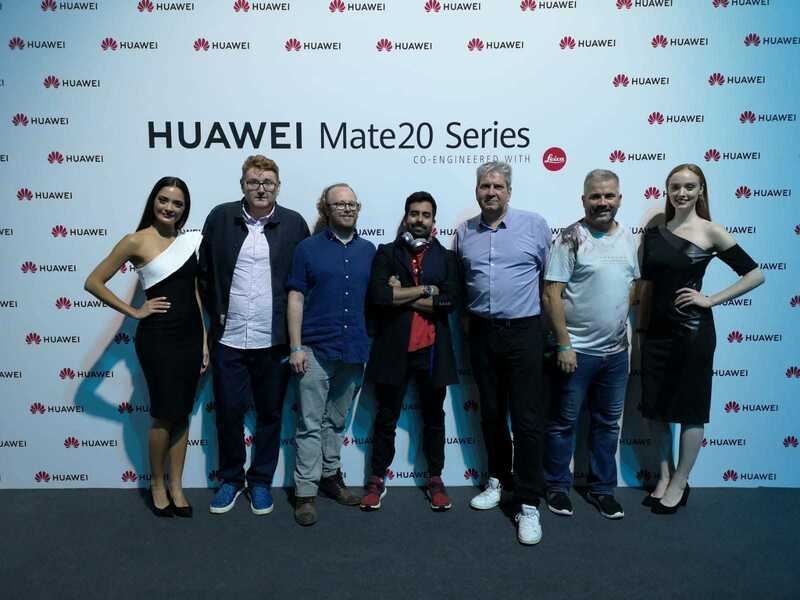 On the 16th of October I was very privileged to attend the Global Launch of the Huawei Mate 20 series launch, I was also very lucky to get a plus one to attend with me, Bil, @BAMAKT, is an avid iPhone user and loves his tech, but for as long as I have known him (uni days) he has always had a love affair with Apple. I thought I would put this to the test by taking him to the amazing launch event, I caught up with him a couple of days later to get his thoughts. The event was very well organised, the background screen was very impressive. It had a nice atmosphere. The photo backwall was a good idea, as it allowed guests to interact and associate them selves from an image point of view with the brand. Also the number of people invited and attending the event made it feel very professional as well a big event. What thought of the Huawei Wonders getting invited to the event? IThink its good to have the people who help Huawei to be acknowledged by the company, makes you feel involved and respected. Also there media accreditation and skills will help the brand move forward within the premium market if advertised properly. Thoughts on the Huawei community? Very intelligent set of people who are always willing to help, and resourceful. They help the everyday users get the most out of there devices therefore enabling the everyday user. They also allow for Huawei to build a happier customer base and build a relationship with out a huge amount of expense or strain on the support services. What was the coolest thing about the new devices? The camera’s & the larger display on the larger model. Biggest shock of the day? Having the head of Porsche design give a presentation on collaboration and also having a google director showing support. This shows the collaboration from people of respected organisations and helps the image Huawei. From an Apple users perspective what turned you on and off about the new devices? The new device was so much more phone for the price point and the technology that it incorporated leaves you feeling a bit bewildered why apple are still lagging behind in the device’s when the technology is out there and a premium (expensive price point). The collaboration with other companies which are leaders in their field such as Leica was a big selling point. Not a lot has turned me off on first impressions from the event in terms of what the Huawei has to offer. Would have to spend some time with the phone, to give a more detailed review. Thoughts on reverse wireless charging? Its an interesting feature, but a bit of gimmick. Would I want to share my charge, depends on where I am! I haven’t really heard of the issue being brought up. Thoughts on the design and feel of the device? It has a nice premium feel and weight. It also sits nicely in your hand. So even with a case it fits nicely and doesn’t feel bulky. Also, the size is just right in terms of the screen with dexterity and using it for day to day. What was your favourite colour and why? The green had a really cool look and is classy without being in your face, also had a cool texture which I have not seen on another device before. What did we think of screen fingerprint to get into the device? It works, potentially now becoming a bit outdated. It takes a while to get used to the finger sensitivity and how much pressure needs to be applied. What is your favourite feature of the new handsets and what you looking forward to being able to use the most? The camera and the screen, combined they make a lovely image and provide quality images when watching videos. Also allows for very different pictures to be taken which previously only available to camera specific devices.